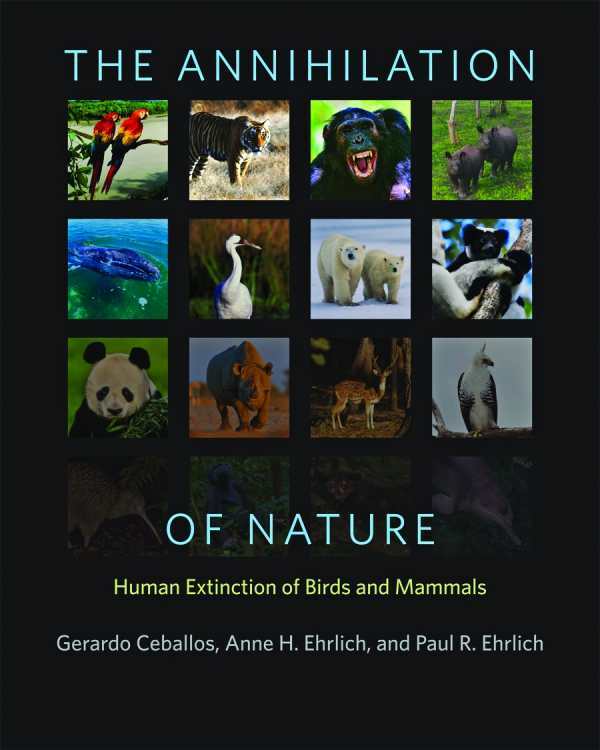 Troubling statistics about the number of animal species lost every year have become sadly commonplace, and The Annihilation of Nature blends words and pictures in a moving account of this sixth mass extinction. The authors explain some of the ways people are driving other animal populations into crisis, and discuss how iconic species like the lion, chimpanzee, and rhinoceros have become endangered. They also recount the specific stories of several animals lost forever due to human activity, such as the dodo, moa, thylacine, and quagga. This beautifully designed book includes excellent nature photography that shows off the diverse wildlife threatened with extinction, from lovely two-­page spreads of a tiger, polar bears, or macaws in their natural habitats, to smaller but striking images of forest elephants, the gray whale, or the giant anteater. The Annihilation of Nature is both a useful history of the problem and a visual reminder of what the world still stands to lose if it doesn’t change course.